Discussion in 'Headphone Amps (full-size)' started by Bikeracer661, Jul 5, 2017. So I have been a very, and I mean VERY long time lurker. I am finally throwing myself into the fray, and making an effort to contribute. Before doing so - my thorough thanks to all of you. This is a vibrant community of head-fiers, and I have learned lots over the years by reading your numerous threads. I am starting this thread as I cannot find any recent threads for the Woo Wa5 amps. I have recently ordered a Wa5-LE and I am anxiously awaiting it's arrival. I would love to hear from other owners about their experience with what by almost all accounts is an amazing piece of equipment. I am most curious to hear your tales of tube rolling this combo. There were similar threads on this subject from many years ago, nut they haven't been updated in 5 or more years. If this thread is redundant, I encourage the mods to merge it as they deem fit. I ordered the Wa5-LE to power my Audeze LCD-4s. I am hoping it bring them to "life." I also recently acquired a Sony WMA1 which I will be using as my primary source. I cheated and ordered the Wa5-LE with the upgraded internal components and the Takatasuki 300bs. Is anyone using this combo? Thoughts? Thanks again for allowing me to lurk for years - now I'll try to contribute. I own a two year old WA5. I use the SERP 300Bs, Sophia 274B rectifiers and the Sylvania 6SN7GTs. For spares I keep a pair of Brimar 5Z4GY and Ken-Rad 6SN7GTs on hand. Probably my most interesting tube is the WU4G solid-state rectifiers I bought from Ted Weber. These completely destroy any noise floor in the amp but also turns it somewhat sterile for me. For about $50 it was an interesting experiment and cheap backup. As for now I have no backup for the 300Bs. Right now the WA5 is sitting cold and dark as I sold off my Norne cables including the 1/4 adapter I used on my LCD-X. Until my Double Helix Prion4 gets built and shipped I am using a friends WyWires Red balanced with no adapter. To be honest I listen to my Cavalli Lau about 70% of the time simply for convenience. The Lau is as good as it gets 5 minutes after its turned on, but the WA5 I let warm up for 10 minutes and still think it doesn't reach peak SQ for another 15-25 minutes. Don't get me wrong, I love my WA5 and won't get rid of it(everyone has his or her price but it would be high). Congratulations on the purchase. The WA5 is a magnificent piece of kit. Don't get caught up in the equipment and forget to enjoy the music. Pippen99 - thanks for the reply. I am checking out the Ted Weber rectifiers. I have a LCD-4 and have been looking at the WA-5 LE. Can you tell me how you've liked this combo? What tubes have you found are the best? I really love this combo. I am not a tube roller, I have the upgrade tube set that was available when mine was manufactured. Sophia Royal Princess 300B, Sophia 274B rectifier, and Sylvania 6SN7GT drive tubes. I am satisfied with this combination. I have purchased a few backups including some Ted Weber WU4GB solid state rectifiers but I end up using the aforementioned combo. Mine is warming up right now. The only drawback for me is that a warmup of up to 25 minutes is necessary for optimal performance. I usually start listening after 10 minutes but another 15 minutes gets it sounding optimal. Love my Woo, wish I could afford a WA33. I find it hard to believe that there are so few Woo WA5 owners. 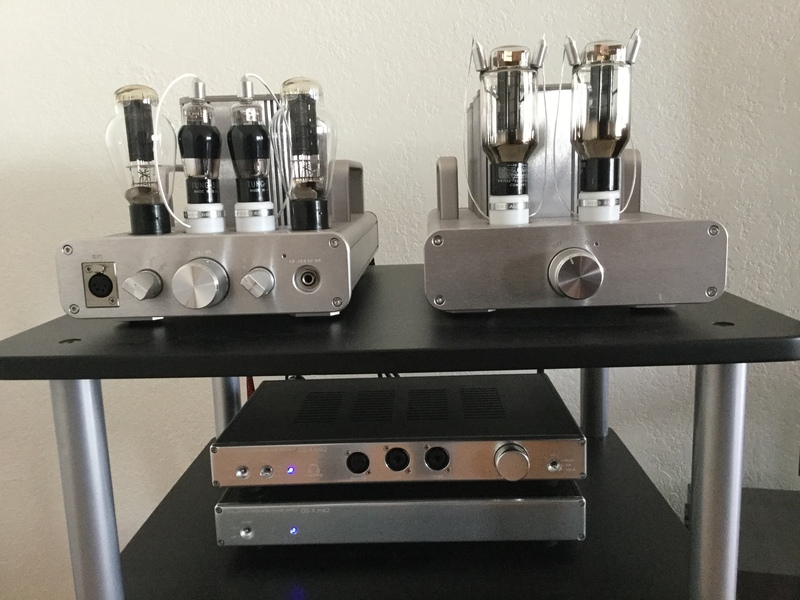 I would love to hear more about peoples impressions of these fantastic 300b tube amp. I am very happy to join the Woo family for the 3rd time. WA2, WA22 and now the WA5. Glad to see you found one. I shipped mine off to a new home 10 days ago. Enjoy. Wildcatsare1, Chozart and Autostart like this. You gave me the inspiration there for the tubes. Dubstep Girl. Received the 596's today (in original boxes), and the Tung Sols a couple of days ago. Bought the WE 300B's several months ago here. I'll get to pictures... but right now can't tear myself from my seat listening to music (headphone currently on my head is the LFF Code X). Thank you for your thorough reviews (most notably your 2013 rectifier review!) It helped a lot. Sorry for bringing up this old thread, I just gotten a new wa5 LE can someone recommend me some tubes to get. Thanks. Im also a new member of the WA5 “Club,” I’d love to hear/read more about @Dubstep Girl and the tubes used.